Australia’s Golden Outback is the largest of Western Australia’s five tourism Regions, covering 54% of the State. It is a region of contrast from the spectacular Mount Augustus in the north to the turquoise waters of Esperance in the south. It is a region that offers self-drive adventures, gold-rush history, ghost towns, beach holidays and unique station and farm stays. UAVisuals were called in by Lush Digital to provided the aerial cinematography shots for the campaign. 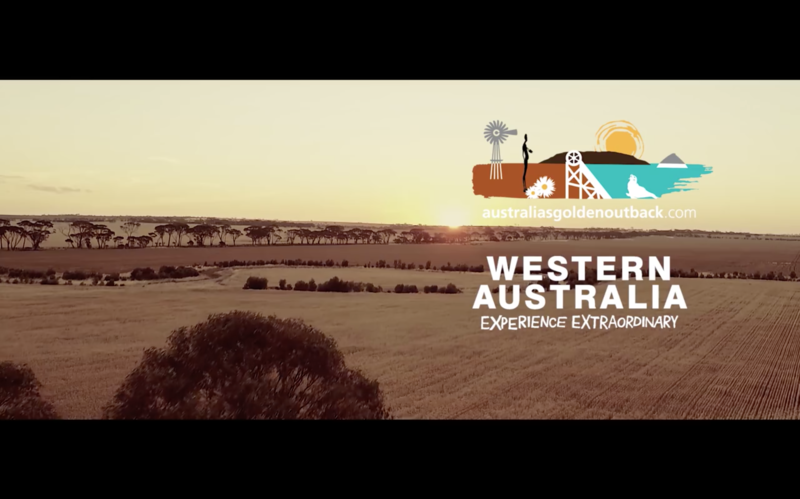 The videos were created in a story telling series of short clips around West Australia’s outback regions demonstrating the incredible landscape and spectacular scenery the west has to offer! 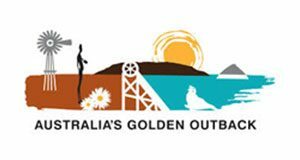 Click play on the below videos to see the amazing mix of nature, history and outback adventure, set against the dramatic blue skies, wide desert horizons, rolling farmland and wild coastal landscapes of Western Australia’s Golden Outback. Wave Rock is the most famous of rock formations in Western Australia‘s Golden Outback, but venture further into this ancient landscape and you’ll discover a huge variety of striking geological features. Many are also the subject of fascinating Indigenous Dreamtime stories, and the site of beautiful Indigenous rock art, Mulka’s Cave. Nearby Lake Magic is also a spectacular place to camp, kayak or just enjoy a picnic. Visible from space, the The Superpit Kalgoorlie in Kalgoorlie Boulder is the largest open pit gold mine in the Southern Hemisphere and produces 800,000 ounces of gold every year! You can view the Pit from the Lookout or take a tour with Kalgoorlie Tours and Charters. Yabbies have been enjoyed by indigenous Australians for many centuries, but only now is the world waking up to their secret delights! These unique, freshwater crustaceans are delicious and versatile, making them ideal for the creative chef who is looking for that special “something” to complete the menu! Pop along and visit the family-run Cambinata Yabbies to see their farm or attend one of their amazing dinner events. You can even stay the night at nearby Mary’s Farm Cottages. Fancy teeing off with a bunch of local roos? Then the Kalgoorlie Golf Course is for you! Did you know the premier 18-hole course was designed by top designer Graham Marsh and is currently ranked 18th in Australia’s top 100 public courses? It is also part of the Nullarbor Links World’s Longest golf Course and where you start or finish your epic cross-State golfing adventure from Ceduna to Western Australia. No visit to Kalgoorlie is complete without a visit to Hannans North Tourist Mine, where you will experience a vibrant mix of gold rush history and modern day mining. During your visit you can climb onto a giant 793C haul truck, stand in the shovel of a 994F loader, listen to Paddy Hannan tell his tale of discovery and pan for gold! Walkers Hill Vineyard near Lake Grace is the perfect place to stop and enjoy the beautiful Wheatbelt scenery whilst enjoying a glass of their famous Shiraz! Gwalia Ghost Town is the doorway to a unique experience of Western Australia‘s rich mining history. The little settlement that grew up around the Sons of Gwalia Mine in the late 1890s thrived until the final whistle blew on 28 December 1963, closing the mine and putting 250 men out of work. Gwalia’s 1200-strong population fell to just 40 in less than three weeks. Today, the abandoned homes and businesses of Gwalia create a tangible snapshot of a vanished era and way of life. You can also step inside Hoover House, the residence of the infamous American president. A great road trip in the Goldfields and also part of the Goldfields Tourism Golden Quest Discovery Trail. The Karlkurla Bushland Park in Kalgoorlie Boulder comprises of 200 hectares of natural bushland and native flora and fauna. ‘Karlkurla’ (pronounced gull-gurl-la), is the local Aboriginal word for the Silky Pear, one of the many native bushes, trees and small plants that can now be enjoyed while strolling along the park’s 4km walking trail. The Broad Arrow Tavern is only a 15-minute drive from Kalgoorlie Boulder; but you can enjoy a real outback pub experience! Part of the Goldfields Tourism Golden Quest Discovery Trail, the Broad Arrow is the perfect spot for a lazy lunch or drink in the beer garden. Make sure you take a texta to add your name to the walls! The Wheatbelt of Western Australia is home to a number of wineries, including Downderry Wines, which is famous for its delicious sparkling! Why not enjoy a winery break in the countryside just outside of Perth? Cheers!